Our sheeted yard gates are made to order and available in 3 and 4 railed options. The Moorland Sheeted Gate is a medium weight (any hand) 3 railed gate 1270mm (4'1") high, suitable for sheep, calves or tractor/machinery containment. It is clad to one face with a pre-galvanised sheet and fitted with a keyhole/pendulum type sliding bolt. It also features a 50 x 50mm sleeved box section hanging stile and 40 x 40mm box section. The Buxton Sheeted Gate is a heavy duty (any hand) 4 railed gate suitable for any cattle breed. 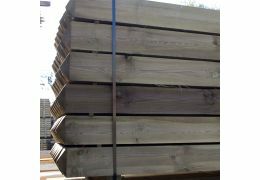 The Standard height is 1270mm but can be supplied in a variety of heights. It’s clad to one face with a pre-galvanised sheet and fitted with a keyhole/pendulum type sliding bolt. 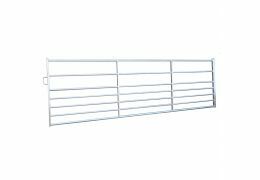 Ideal for use in exposed positions, this gate features a 50 x 50mm box section frame, 50 x 30mm box section infills and sleeved hanging stile. For more information on our sheeted yard gates and up to the minute pricing information, please get in touch online or call 03330 050115.